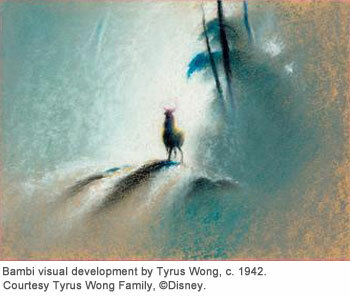 Tyrus Wong, the Chinese-American artist who was the production designer of Disney’s classic feature Bambi (1942), passed away today at the age of 106. 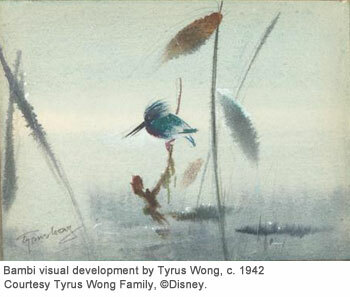 Wong had a brief career in animation, working at Disney only between 1938 and 1941, but made an outsized contribution to animation history with his innovative production design of Bambi. 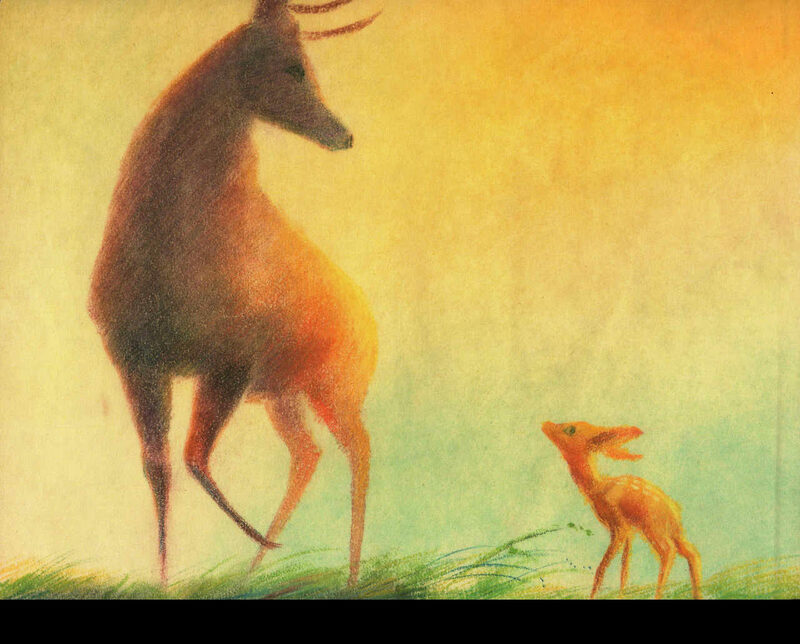 He was working as an entry-level inbetweener at Disney when he showed art director Tom Codrick his atmospheric pastel ideas for Bambi. that provided a solution to Bambi’s backgrounds by suggesting the atmosphere of a forest without describing every leaf and branch. 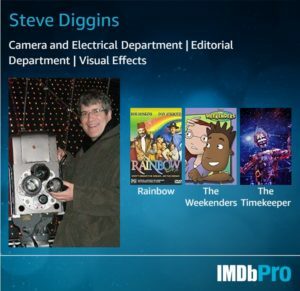 Wong himself considered animation to be “a minor, very small part” of his artistic life, which also included twenty-six years as a live-action production designer at Warner Bros. where he worked on classic films like Rebel Without a Cause, Around the World in Eighty Days, and The Wild Bunch. He also enjoyed a long career as a greeting card designer, and in his spare time, created murals, ceramics, lithographs, and kites. 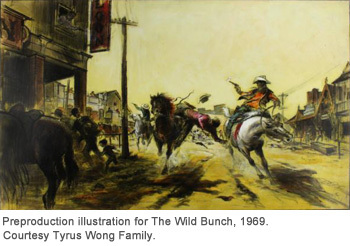 A production design painting that Wong produced for the Warner Bros. film “The Wild Bunch” (1969). 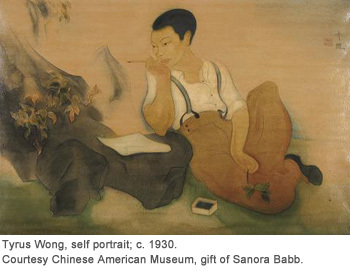 Born in Guangzhou, China, Wong came to the United States at the age of 9, where he lived with his father, a laborer. A surprisingly in-depth New York Times obituary offers some fascinating details on Wong’s early years. 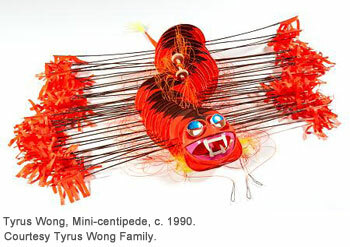 In the final decades of his life, Wong received significant attention, starting with a chapter in John Canemaker’s book Before the Animation Begins (1996). 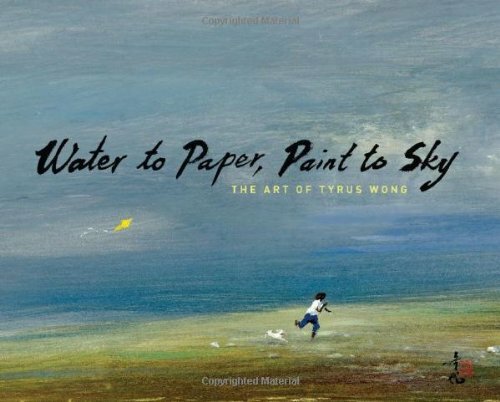 More recently, in 2014, Wong had a major retrospective “Water to Paper, Paint to Sky: The Art of Tyrus Wong” at the Walt Disney Family Museum in San Francisco. Wong is survived by his daughters Kim, Kay, and Tai-Ling. Here is a Walt Disney Family Museum exhibition from a few years ago. 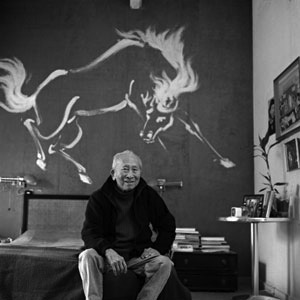 Tyrus Wong at home in Sunland, CA, ca. 2004.